Largely intact antique, with lots of original booth seating, wood panelling, furniture and an interesting old mural. 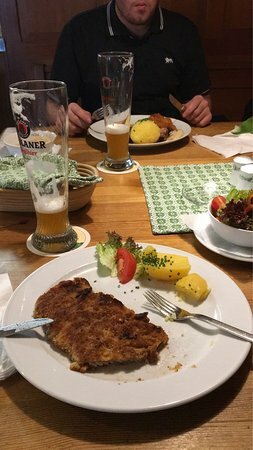 We enjoyed herring, schnitzel and salads, washed down with draught beer and Austrian Veltliner wine. Operates separately from the hotel above. Our bill for two came to €47.40. 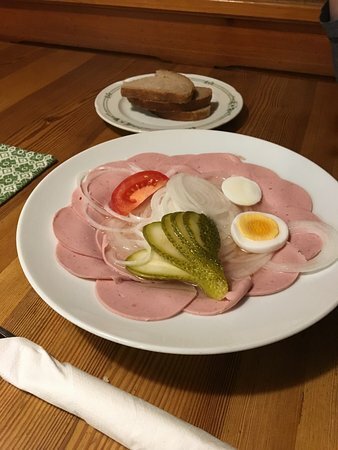 The Seethaler is a Bavarian Restaurant in the center of Straubing, they serve delicious traditional Bavarian Dishes and have a great Service. The outside seating are directly on the center square and have a great view. 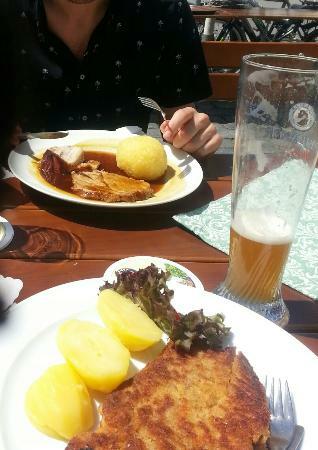 Love going there for Lunch, when I'm in Straubing. Simple but ample menu, great beer, friendly staff, quick service, this is the kind of place that makes traveling fun. If you like the Schnitzel, then this is the place to be. All different kind of schnitzels. Whatever you choose, they are all very well prepared. Having diner at this restaurant gives you a real Straubing visit feeling. Get quick answers from Seethaler staff and past visitors.